We all know how important leaving quality feedback is. It’s rapidly becoming our main job as teachers, but because we’re leaving more feedback it also needs to be intuitive. Paper is still a good option because you can highlight student work, scribble comments into it and tick good passages. Luckily, you don’t need paper for that anymore — we’ve added that ability to Stile! You can always update the feedback by clicking on the pink highlight, which will take you right back into edit mode. This currently works on laptops and desktops. Students can read inline feedback even on iPads, but it’s not yet possible to leave inline feedback on iPads — stay tuned! 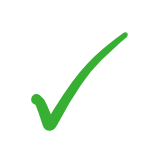 You can now tick off good work with the checkmark that’s recently appeared under each yellow ‘sticky note’ for a big green tick. Positive feedback has been shown to be about twice as effective as negative feedback, so don’t hold back! Tip: you can use the Tab and Enter keys to move quickly between questions without having to touch the mouse. We hope that these two small additions to Stile will make your feedback workflow both faster and more intuitive. We’d love to hear what you think and how we can make Stile even better. Let us know in the comments.